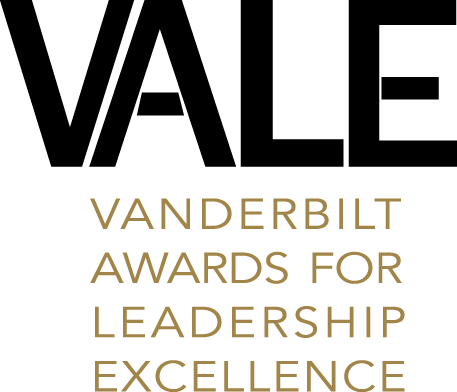 The 2019 Vanderbilt Awards for Leadership Excellence will be held on April 3rd, 2019 in the Student Life Center Ballroom from 6:00pm-7:30pm! The application will go live in the spring on January 7th and will be due on February 11th. Keep check back for the application to be posted on our website. Student Leadership Development and Student Organizations has transitioned what was formerly known as the Magnolia Awards into the Vanderbilt Awards for Leadership Excellence (VALE). The mission of VALE is to celebrate the work of student leaders and organizations that strengthens and fosters a diverse and transformative Vanderbilt community. These awards also recognize efforts that encourage members of this community to engage in a life-long pursuit of excellence in personal and social development. 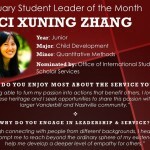 The Individual Awards honor students who have demonstrated leadership and community service in various areas at Vanderbilt. Each Individual Award is accompanied by a stipend, as well as a trophy to commemorate the award. The Student Organization Awards recognize the work of student groups that host meaningful events, initiatives, or programs in the following areas: Best Intercultural Awareness Program, Best Collaborative Program, Best Arts Program, Best Interfaith Program, Best Health & Wellness Program, Best Diversity & Inclusion Program, and Community Engagement. Recipients of the Student Organization Awards will be honored through the perpetual plaques outside of Sarratt 208. You can apply for Individual Awards and Student Organization Awards through Anchor Link beginning Monday, January 7, until 11:59 PM on Monday, February 11. You do not need to be nominated for an award in order to apply. We welcome you to apply to multiple awards, as long as you meet the award criteria, which will be clearly labeled under the “Who Can Apply” section on the application. You can also review the 17 Individual Award descriptions here and the 7 Student Organization Award descriptions here. If you have not set-up direct deposit, please login to your YES account to sign-up. Note that any outstanding charges on your student account will be automatically deducted from your total stipend award amount. Please reach out to Keaton Smith (keaton.h.smith@vanderbilt.edu) with Individual Award questions or Wil De Los Santos (wil.delossantos@vanderbilt.edu) with Student Organization Award questions. Every spring, an award ceremony is held to celebrate award recipients and their work on behalf of the campus community. 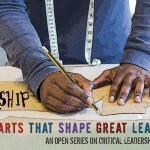 This event is open to all Vanderbilt students, faculty, and staff members. Whether you are an award recipient, a student organization member showing support, or just a spectator, we invite you to be a part of this memorable experience. The 2019 Vanderbilt Awards for Leadership Excellence Ceremony will take place on April 3 from 6-7:30 PM in the Student Life Center Ballroom. We hope to see you there! 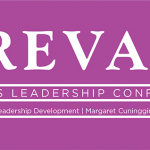 Thank you for attending PREVAIL!